Take your Weebly website designs to the next level. 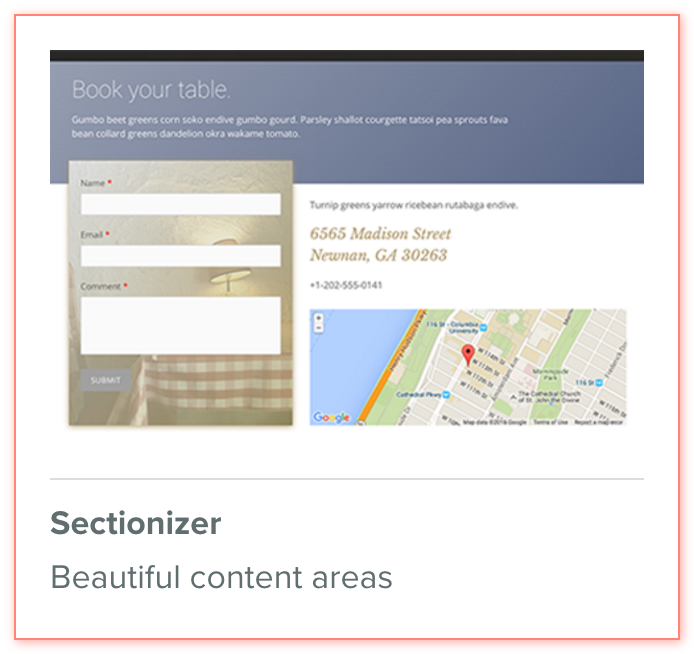 Sectionizer lets you create new content areas on your existing template, which allows you to restyle the layout of your current template. Time to create stunning landing pages. A must have element for each Weebly designer or anyone who is looking for a serious upgrade of their design.